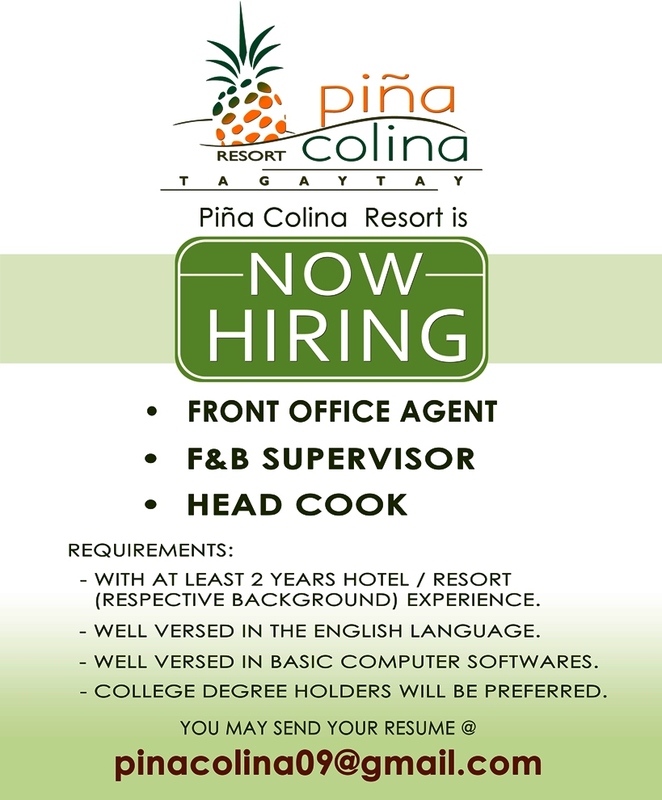 ﻿ Online Reservation - Piña Colina Resort - Your Affordable Tagaytay Hideaway! In order to reserve a unit, the guest is required to make the necessary booking confirmation. The primary and preferred mode of securing your reservation is via credit card guarantee. This mode of booking confirmation ensures that online reservations made by guests are almost instantly secured barring any complication that may arise from incorrect or invalid details that the guest had registered into our system. Another mode of booking confirmation is through bank deposit or bank transfer (just click the fax/email option on the last stage of the online reservation process). The guest may sign up for a temporary booking of a certain unit. This temporary booking will only last for a given period of time or until the bank’s closing time for the day. This form of confirmation (via bank deposit) will only be accommodated if the booking is made no less than 5 days before the guest’s desired check-in date. Bookings made less than 5 days before the check-in date must be confirmed via credit card guarantee.